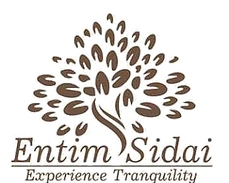 Entim Sidai Sanctuary and Wellness Spa occupies part of the original Rura Farm that belonged to Dr. Albert Patterson, A Scottish Missionary Doctor who migrated to Kenya in 1916. He built the original home which stands today as part of the sanctuary and wellness spa back in 1924. Rura in Maasai means to sleep. Before being settled on by the Pattersons, this forest served as a sanctuary for the Maasai herdsmen who would come to sleep as their cows grazed in the fields where the Karen Dukas stands today. In homage to the maasai customs and way of life, our therapies and treatments are named after words and phrases in the maasai language.